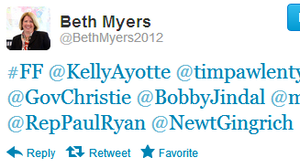 October 30, 2012  The Tuesday before Election Day was not a day for presidential politics, at least not for GOP Gov. Chris Christie of New Jersey. Hours after Superstorm Sandy savagely hit his state, the man who has been a strong advocate for Republican Mitt Romney had effusive praise for President Obama. 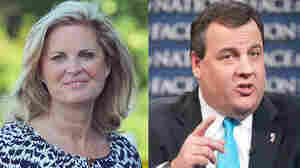 August 28, 2012  Ann Romney and N.J. Gov. Chris Christie, two of tonight's speakers at the Republican National Convention, represent the event's two core messages: humanizing Mitt Romney (Ann's job) and bringing the attack against President Obama (Christie's strength). 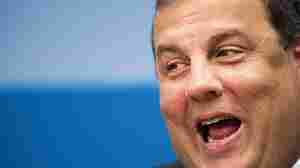 August 14, 2012  The man some Republicans once hoped would be their party's 2012 presidential nominee, New Jersey Gov. Chris Christie, will instead deliver the keynote speech at the national convention that will make Mitt Romney the GOP's official standard bearer. July 18, 2012  Keynote speakers and vice presidential nominees give separate addresses. So unless tradition is going to be broken, choosing the New Jersey governor to deliver the keynote address at the GOP convention means he's not going to be on the ticket. May 16, 2012  Gov. Chis Christie, the straight-talking former prosecutor widely assumed to be on Mitt Romney's short-list of vice presidential candidate choices, and Newark Mayor Corey Booker, appear in a Seinfeldian skit ("Newman!") that spoofs the hero status the Democratic mayor achieved a few weeks back when he rescued a neighbor from a fire. For good measure, it also takes a poke at Christie's vice presidential potential. October 11, 2011  Mitt Romney and New Jersey Gov. Chris Christie took aim Tuesday at Texas Gov. Rick Perry for a comment by a prominent Dalls preacher, a supporter of Perry's White House run, who called Mormonism a "cult." October 11, 2011  Back in 2009 when he campaigned to be New Jersey's chief executive, Gov. 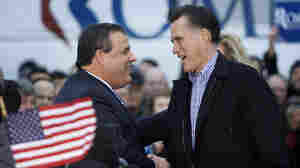 Chris Christie got help from Mitt Romney who visited the Garden State to campaign for his fellow Republican. 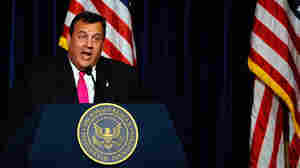 On Tuesday, Christie returned the favor by publicly endorsing Romney's bid to be the Republican Party nominee. October 4, 2011  Gov. Chris Christie reconsidered his earlier decision against running for president much more seriously than was readily apparent from watching him. He clearly was under such intense pressure from people he respected to change his mind that in recent weeks he reopened the door to consider a run only to shut it again tightly Monday evening. October 4, 2011  "I asked for this job," he said of being governor. "I fought hard to get this job. And my job here isn't done. It just never felt right for me to leave." October 4, 2011  On today's TOTN, the growing problem of drug shortages the difficult decisions doctors and patients face when their medications run out, Chris Christie decides whether or not to run for president. In the second hour, the lives of fugitives and the Essential chef Jacques Pepin. 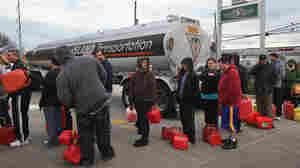 October 4, 2011  Whenever New Jersey Gov. Chris Christie speaks publicly these days, it seems a lot of people listen for clues, or better yet, an announcement of the Republican's intentions regarding the 2012 presidential race. Mercifully, this appears to be about to come to an end. 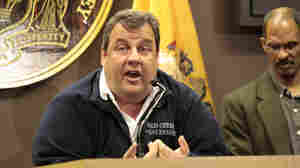 In Polls, Perry's Down And Cain Is Up; Meanwhile, Christie Really Not In? October 4, 2011  The New Jersey governor is due at a 1 p.m. ET news conference. He's said before he wasn't ready to run for president. But speculation has continued.